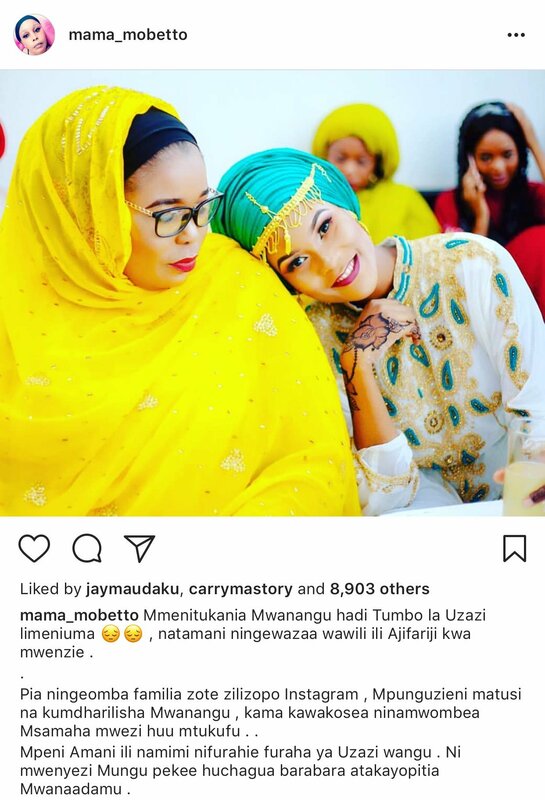 Hamisa Mobetto’s mother Shufaa Lutigunga has stepped forth to offer her daughter solace in the wake of attacks from Diamond Platnumz’s family. Diamond’s family has stepped up attacks on Hamisa Mobetto in a bid force her to stop dating their kin. 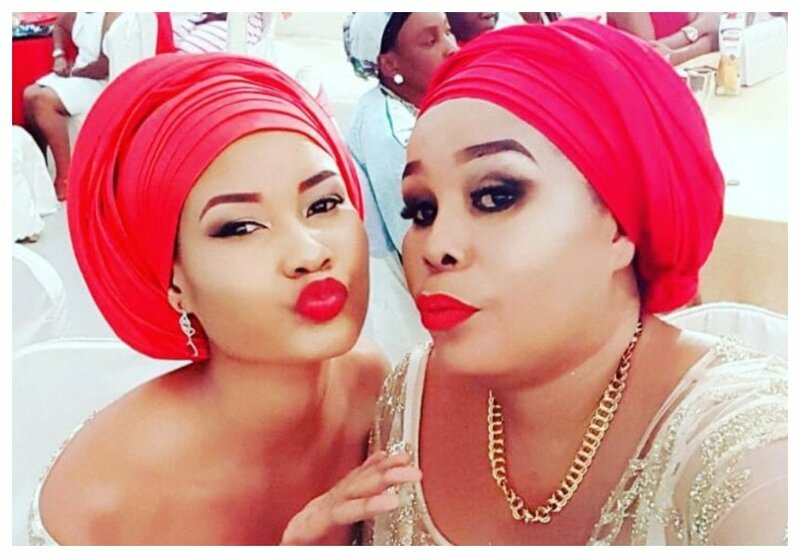 The singer’s mother and sisters have been mocking Mobetto in their posts on social media and interviews. Shufaa Lutigunga has sent a humble plea to Diamond’s family to stop attacking her only child. Hamisa’s mother says the barrage of insults directed to her daughter is giving her sleepless nights. “Mmenitukania Mwanangu hadi Tumbo la Uzazi limeniuma, natamani ningewazaa wawili ili Ajifariji kwa mwenzie. Pia ningeomba familia zote zilipo Instagram , Mpunguzieni matusi na kumdharilisha Mwanangu , kama kawakosea ninamwombea Msamaha mwezi huu mtukufu .. Mpeni Amani ili namimi nifurahie furaha ya Uzai wangu . Ni mwenyezi Mungu pekee huchagua barabara atakayopitia Mwanaadamu,” wrote Shufaa Lutigunga.